I opened my email to find I had received an online promotion for an upcoming flash sale at a major department store. The sale was for 30% during certain hours. So I thought great, the store is right down the road, I’ll go there during the hours, and pick up some new gear. With several hundred dollars’ worth of stuff….I go up to the register and ask the employee to apply the 30% off coupon. I showed her my phone with the coupon and I could tell from her face I was not going to be able to have the coupon applied to my order. She looked at the coupon and explained that it only applied to online orders. So now I am standing there with a bunch of stuff I spent time selecting, and have a decision to make. I decided to purchase the items in the store and then look to see if the 30% coupon applied to the same items online. Of course, the 30% coupon did apply allowing me to save an additional $99. I decided to order the same items online so that I could apply the 30% off. But I really didn’t want to have to pay for shipping for them when I could just get them at the store down the road, so I selected the option to have the items shipped to the store to pick up. This was at no cost to me, however, now the department store had to pay shipping to have the exact same items I already bought shipped to the store. Other than ranting about how I saved an additional $80 by repurchasing online using the coupon code and returning the original items I had bought in the store, what about the overall methodology? Did it make sense for them logistically and cost wise to only have the coupon offered online. In store for the basket of items let’s say I paid $329. Online, for the same basket $230; saving about $99. 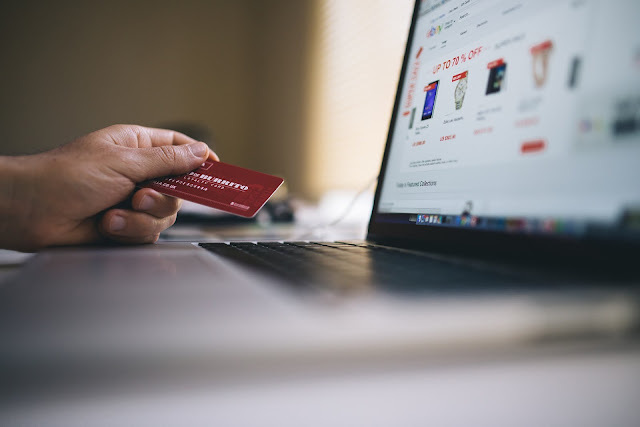 For refusing to offer the discount in-store the store now was forced to incur administrative and processing costs for the original purchase and return and shipping cost of the discounted items. Worst of all they also still hold the exact same items back in inventory. As a consumer though, I would want the store to apply the discount offered online in store as well and eliminate all the return and pickup hassle. From a financial perspective for the company, it makes sense to apply the coupon to in-store items, for one they don’t have to incur the hassle and additional cost but more importantly, the overall sale of the item should be valued most. Companies have to make strategic decisions daily and while it might seem like a quick decision to throw out sales left and right, ultimately the decisions do affect a company’s bottom line, and the revenue they generate or money they may lose adds up. Be Smart and happy shopping!